“Well here at Kirkmont, as some of you may know, we’re in a Sermon series called, “GOING SMALL TO GROW BIG”… the Life Changing Power of a Small Group. And we’re talking about the importance of connecting people to Small Groups. And the last two weeks we’ve been looking at how God’s Word is INVITING us, calling us to a community of FAITH that is deeper than what we can offer people here on Sunday morning. And so we’re saying the way we seek to achieve that is through a Small Group Ministry. And the last couple weeks we’ve been looking at how individual people… how us as individuals can GROW BIG by joining a small group. But this morning we’re going to spend just a few minutes together looking at how the Church as a whole can benefit–how the Church as a whole can GROW BIG from going small. And the way we’re going to take a look at that is by tackling two myths. We’ll have these myths on the screen for you here. These myths come from… every once in a while I come across a book and it’s hard for me to get past some of the ideas that I encounter. If you take a look in your Bulletin, you open it up and you look in there and you’ll see next to my name the word, “REVEREND”. Let me tell you something, one of my goals here at Kirkmont is to shed the title Reverend. I’m trying to get it away from any of the things in writing. I don’t want people to call me that because I don’t want the pressure. One of the things I’ve learned over the years about myself.. if anything I’ve learned about myself as a pastor is that I_AM_NOT_REVEREND… in fact, I’m very successful at reminding the congregation that I am not “reverend” and giving them opportunities to express FORGIVENESS and PATIENCE and those types of things. 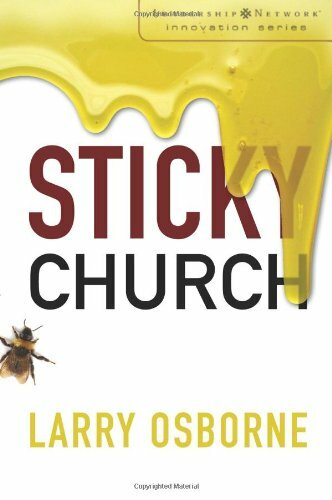 And so many churches elevate the pastor to such a place… this “Holy Pastor Myth” that the Church then is limited in it’s ability to grow to the SIZE that one person can shepherd. What I mean by that is that for many churches, unless they shed that whole myth… they demand the pastor’s attention in each and every setting. “We live at a mile-a-minute pace. We want our food fast and our information even faster. And while this pressure filled life of instant news and social media connects us to more people than ever before, it can also alienate us from the community we need the most. Because no matter how many online friends we have or how many “Likes” we get for our photos, it’s not going to help us when sinful habits rear their ugly heads… or sorrow seems to overwhelm us, or we simply want to grow in our faith. No, instead, it’s the quality of the relationships with the people who actually know us that will get us through. You see, we all sin, and we all struggle–it’s part of being human. But what sets Christians apart is GOD’S WORD in changing those desires for sin to a desire for HIM. And that is why Connect Groups are so important. This idea of COMMUNITY isn’t something churches invented to get people involved; instead, it’s right out of the Bible. In Hebrews 10 to “look for ways to spur one another, to love and good deeds, to meet together and to encourage one another”. And Connect Groups are designed to do just that. We have to look no further than the Life of Jesus to see this principle lived out. Jesus carefully chose 12 followers and then He poured into them, taught them and just lived life with them. But Jesus didn’t stop with His disciples… He promises us that wherever two or more are gathered in His Name, He will be right there with them. And this is why Connect Groups work so well. We’re no longer lost in a sea of unfamiliar faces. Instead, we are with people we can grow to trust, who will encourage us, comfort us, pray with us; and the best part is.. JESUS PROMISES THAT HE WILL BE RIGHT THERE WITH US. 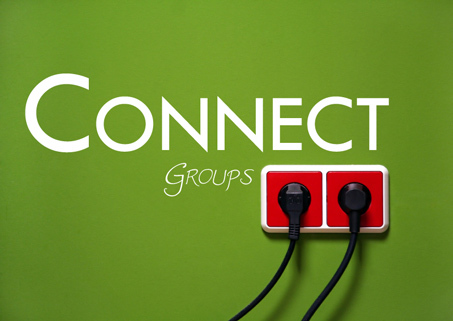 So don’t think of Connect Groups as one more item on the calendar… instead, think of them as a retreat for our hectic lifestyles where the Biblical idea of fellowship can change us. All we need is a desire to grow closer to God and a TRUST, that as we seek Him with fellow believers, He will pour out His presence according to His promises… and then Connect Groups will be life changing”.